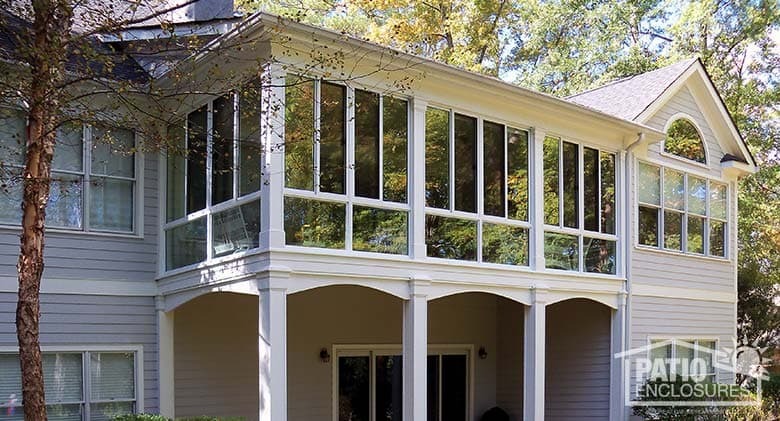 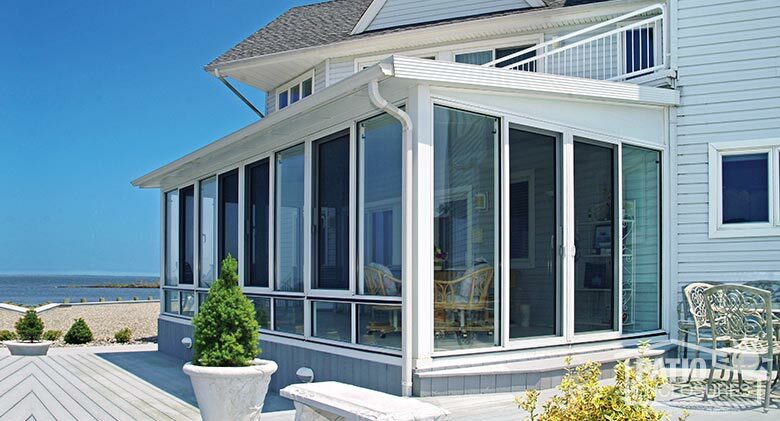 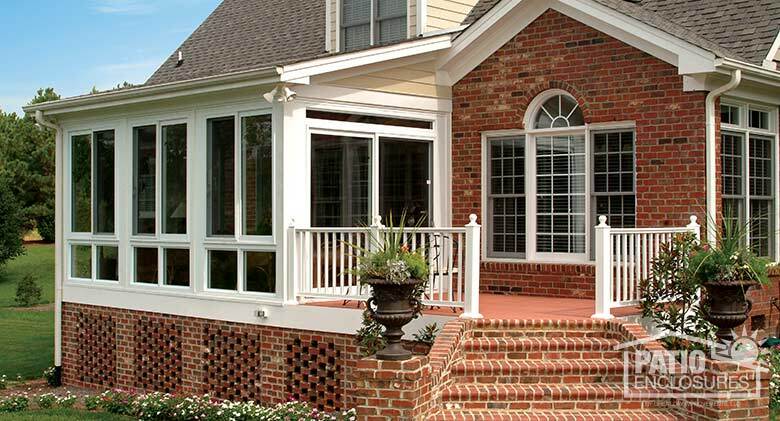 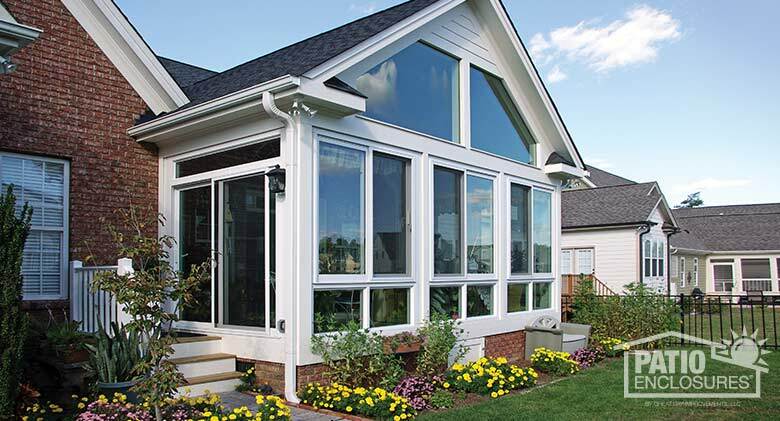 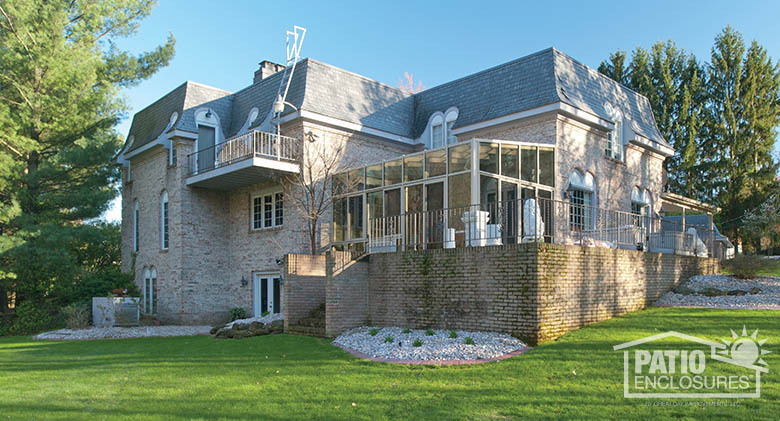 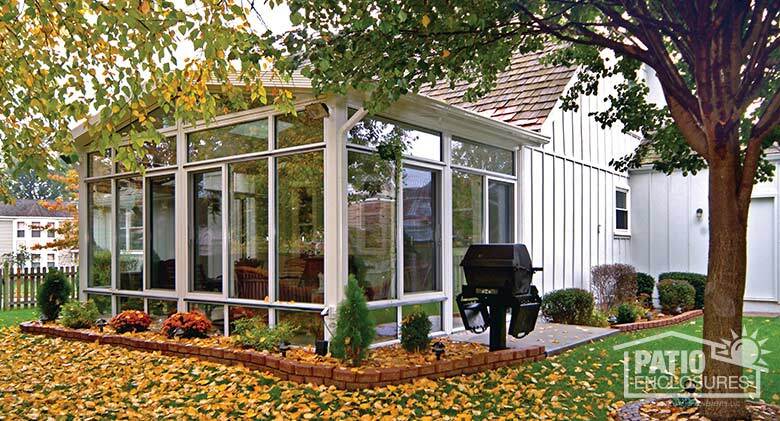 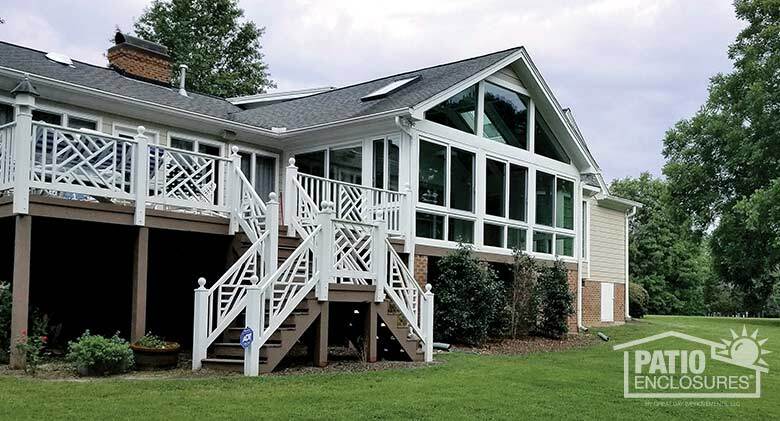 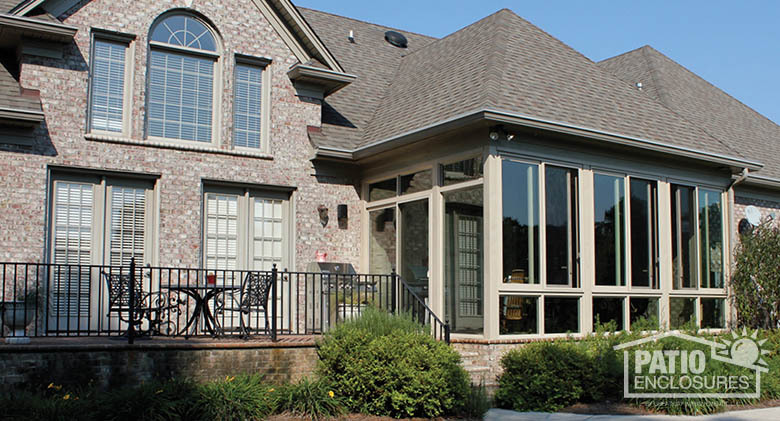 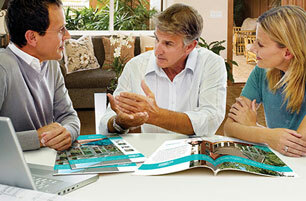 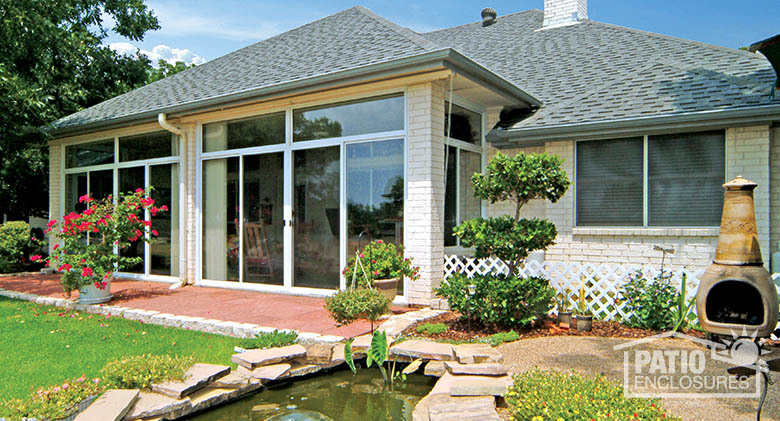 ​Are you thinking about adding a sunroom addition to your home this season? 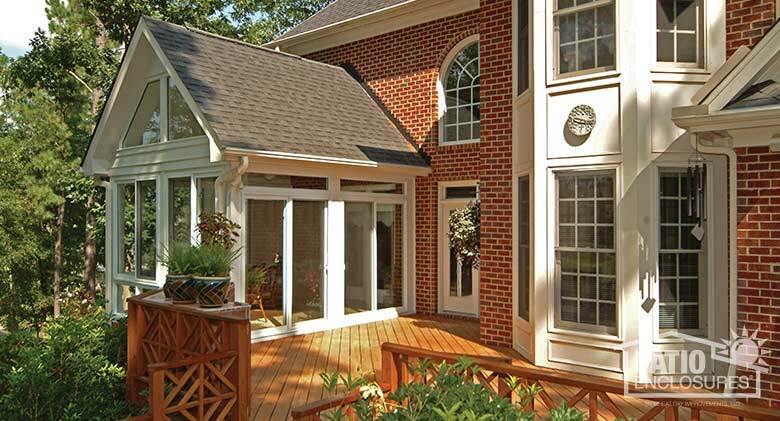 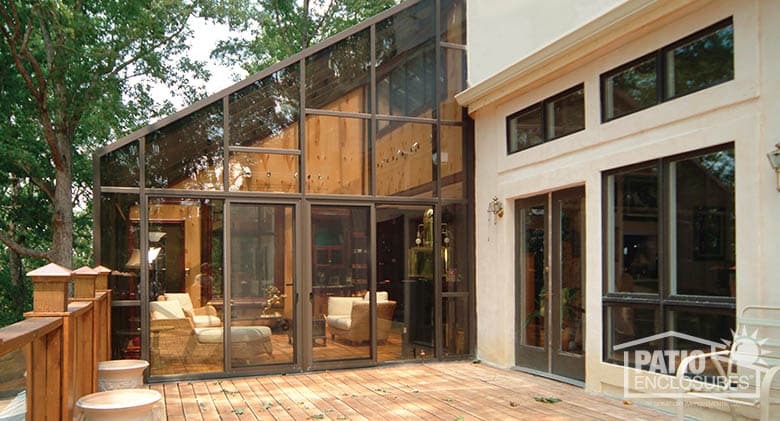 Imagine what a sunroom would look like on the front or back of your home. 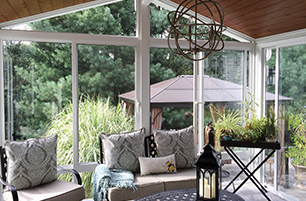 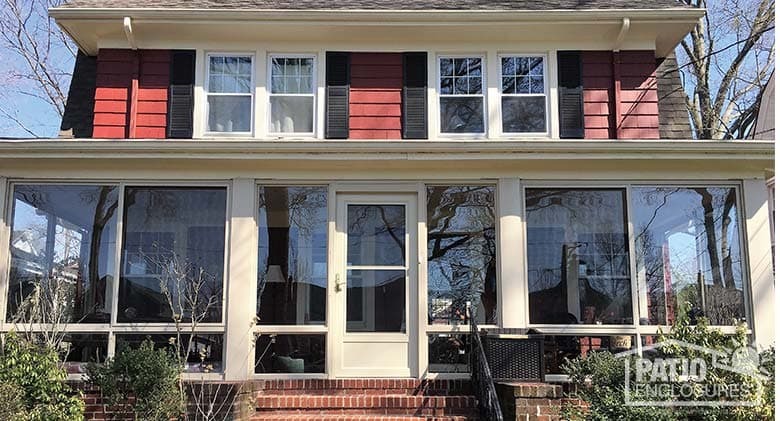 Our exterior sunroom photo gallery will give you inspiration to get your project started. 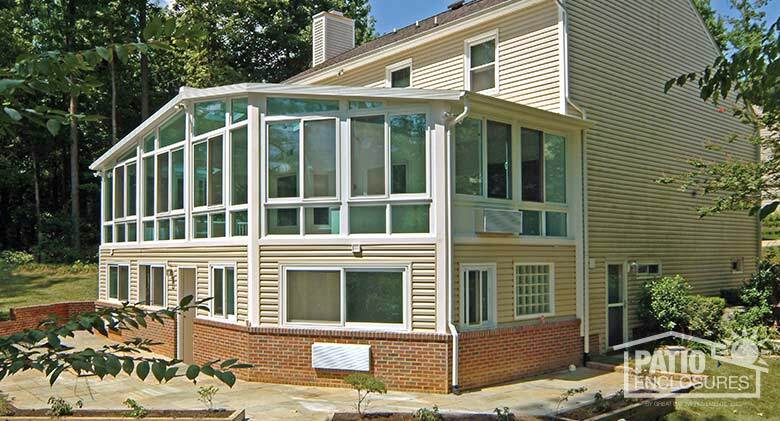 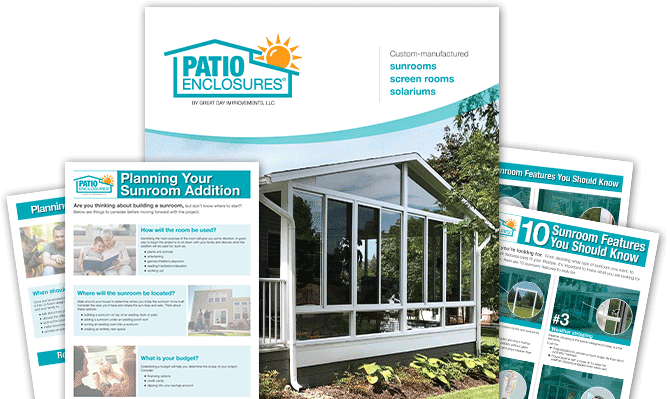 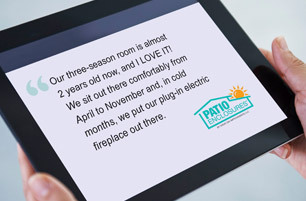 From porch enclosures to patio enclosures we've got you covered for all the seasons! 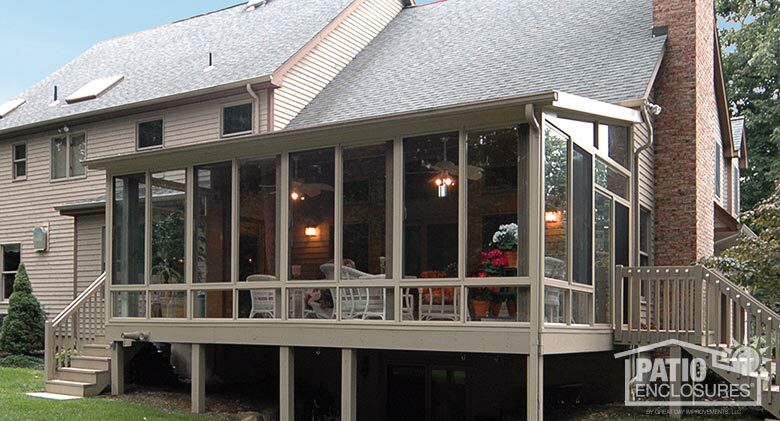 Screen Room White aluminum frame with picket railing system. 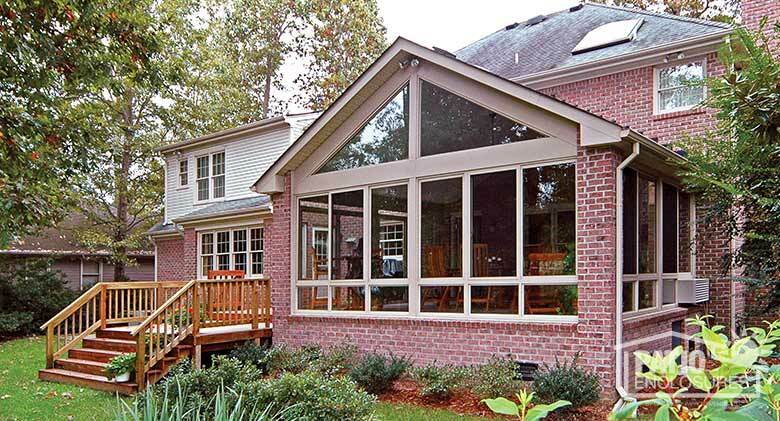 Three Season Sunroom Sandstone sunroom under an existing roof. 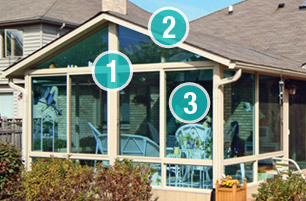 Three Season Sunroom Bronze sunroom under an existing roof. 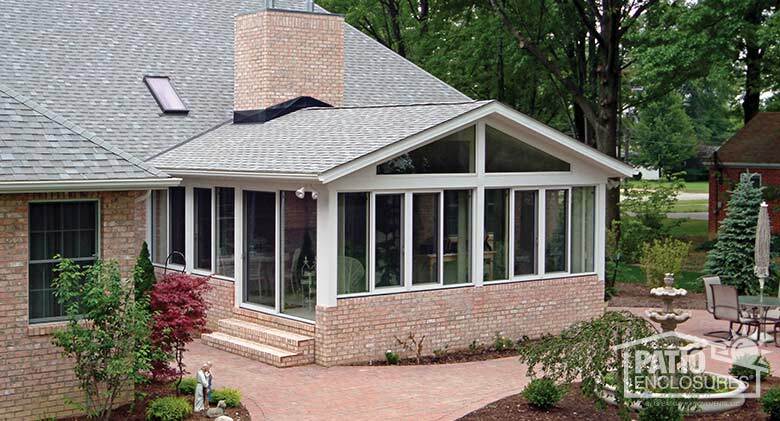 Three Season Sunroom Sandstone sunroom with unique gabled roof with glass roof panels for added light. 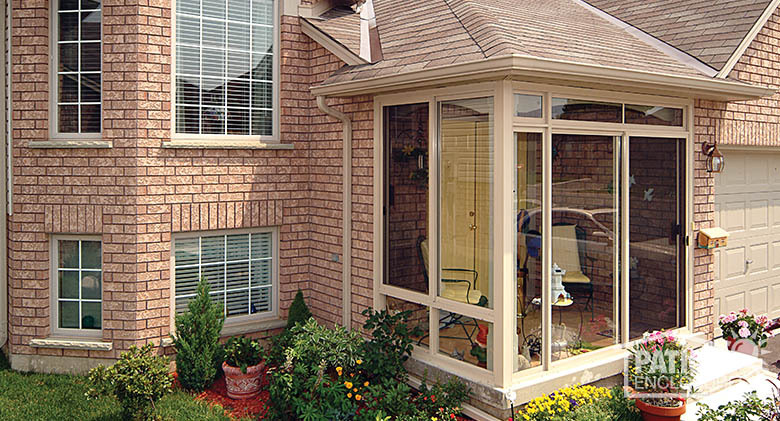 Three Season Sunroom Sandstone frame with gable roof. 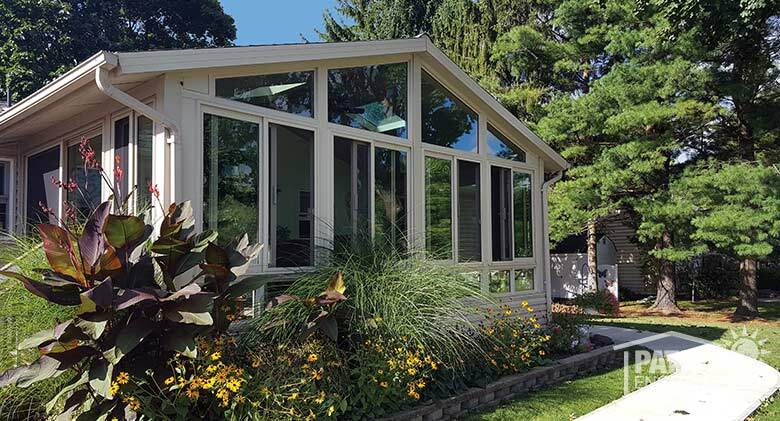 Four Season Sunroom Sandstone vinyl frame with custom wood roof. 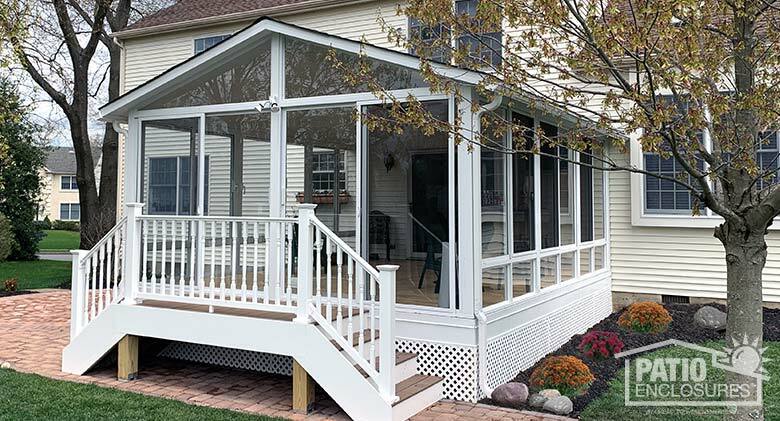 Four Season Sunroom White vinyl frame with gable roof and side deck. 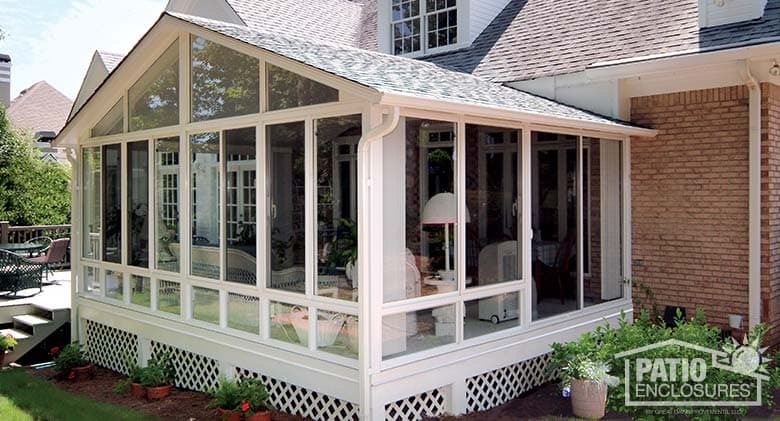 Four Season Sunroom White frame with a gable, shingled roof. 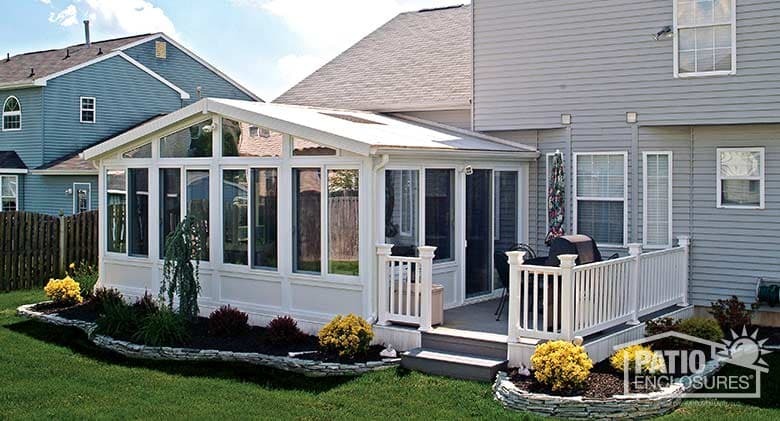 Four Season Sunroom White frame with gable roof and solid knee wall. 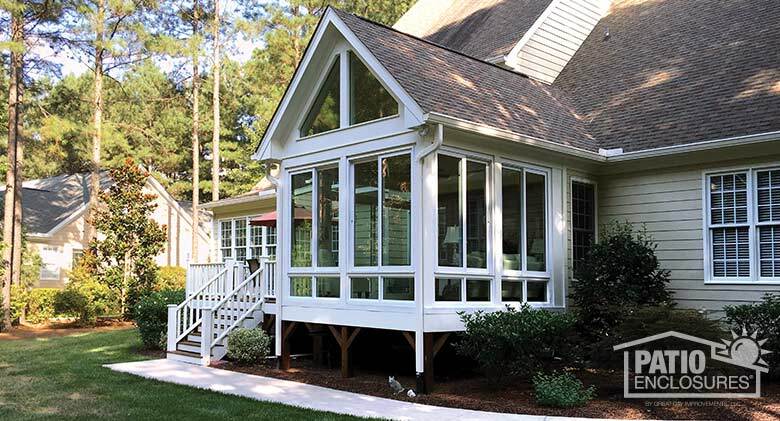 Four Season Sunroom White frame with gable, shingled roof and glass roof panels. 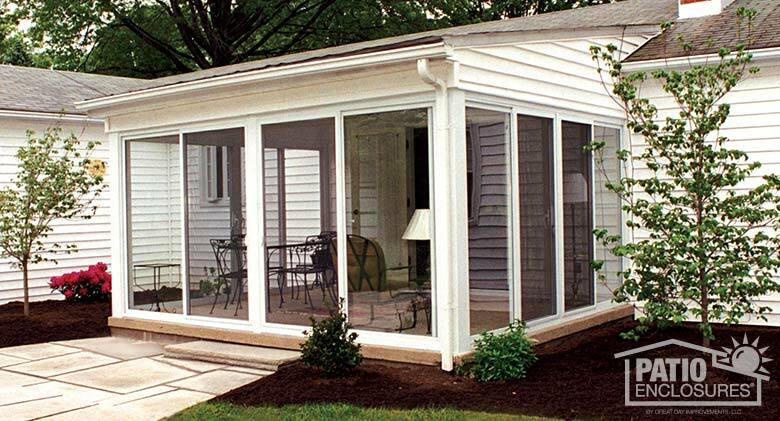 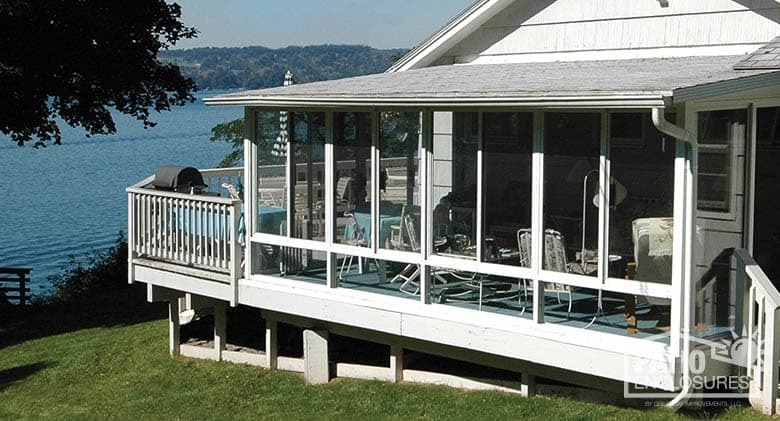 Four Season Sunroom White vinyl frame with single-slope roof and a glass knee wall. 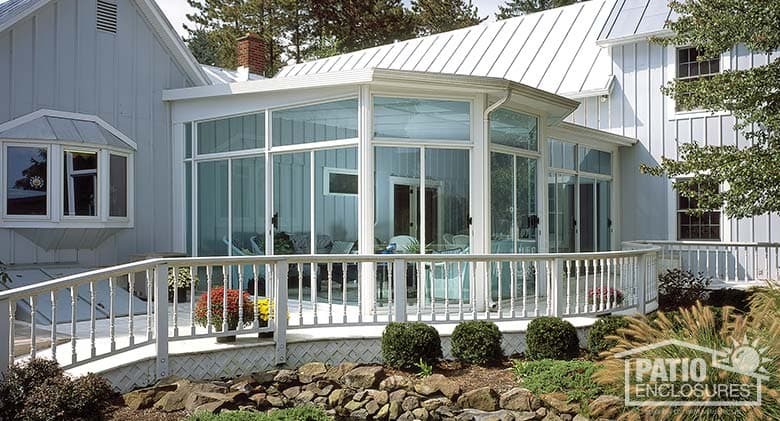 Four Season Sunroom White frame with custom wood gable roof and glass wings. 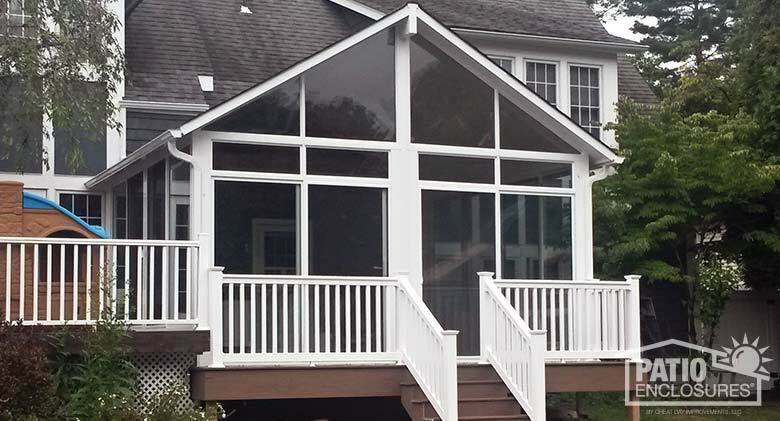 Four Season Sunroom White vinyl frame with custom wood gable roof. 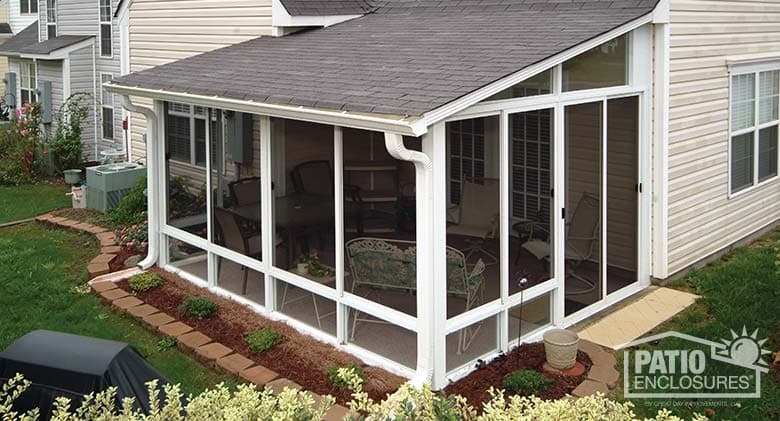 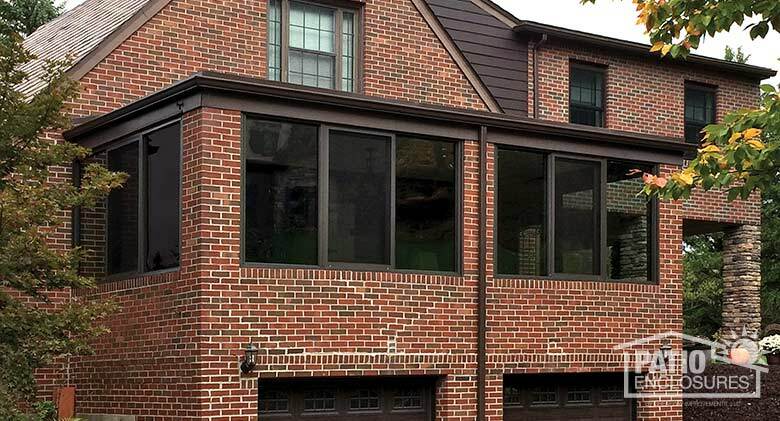 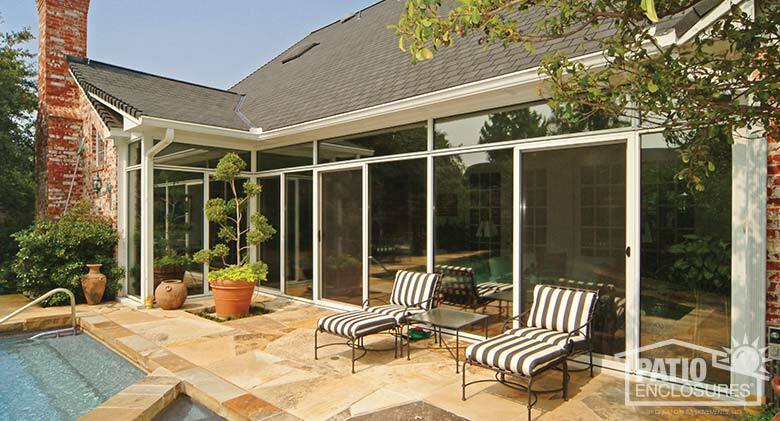 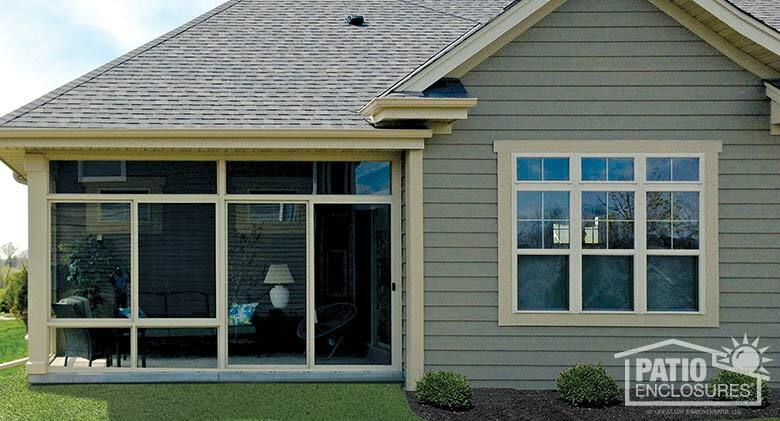 Four Season Sunroom Sandstone vinyl frame with single-slope roof and a glass knee wall. 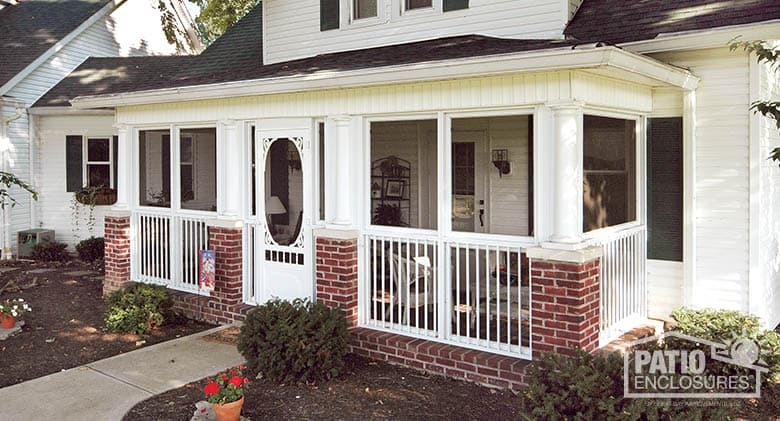 Porch Enclosure Front porch enclosure with sandstone aluminum frame. 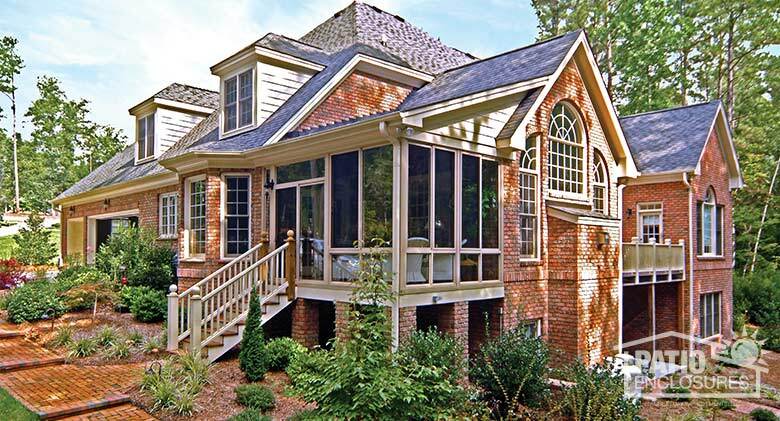 Porch Enclosure Side patio enclosure on existing brick foundation and under an existing wood roof. 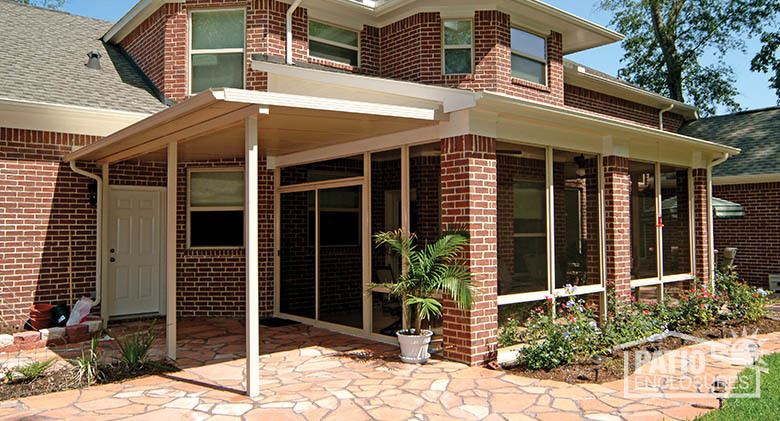 Porch Enclosure Patio enclosure under an existing roof and brick foundation with a side stationary patio cover. 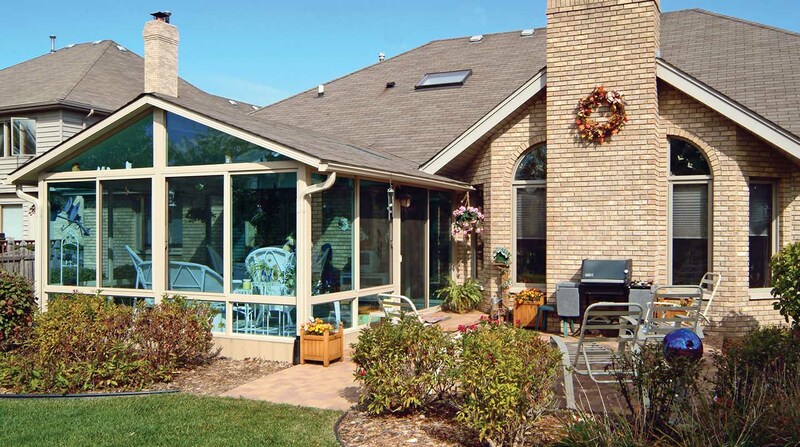 Straight Eave Solarium Sandstone frame with single slope glass roof for maximum light.